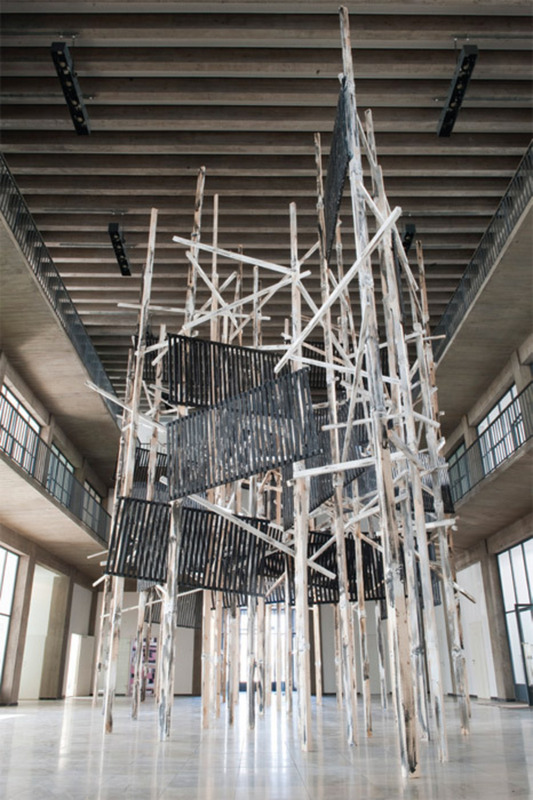 Phyllida Barlow, untitled: structure, 2011, wood, paint, plaster, and screws, approx. 33' x 56' x 25' 6". Installation view. 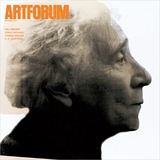 Her former students Tacita Dean, Douglas Gordon, and Rachel Whiteread are internationally famous. But Phyllida Barlow herself? She earned her bread not as an artist but as a teacher at the Slade School of Fine Art in London, though she never stopped constructing her gigantic objects, wobbily propped up on wooden stilts, made of old carpets, used wooden battens, and scraps of cloth, all lashed together and caked with cement, plaster, and paint. Her focus, in these huge, precarious, unfinished-looking sculptures made of shabby materials, was anti-form and anti-architecturesoft shapes, decay, the experimental, and the incomplete. For a long time the work seemed marginal to art-world trends.